I was raised in the Church, and I thank God for it. As far back as I can remember, the word “church” meant the Orthodox Church; the word “faith” meant the Orthodox Faith. Orthodoxy was, for a very long time, all I knew. But every bubble eventually bursts. Like many who struggled to navigate the confusing challenges of adolescence and young adulthood, my relationship with the Church eroded over time. Orthodoxy may have been all I knew for the longest time, but that wasn’t enough to keep my heart engaged as I drifted through high school. And it certainly wasn’t enough to sustain me once I left home to attend college. My heart proved to be very shallow soil, and sleeping in on Sunday mornings became easier with every passing week. I returned to the Church in my later college years, and am still trying to fully make sense of the experience that inspired me to seek Christ in a way I never had previously. And, if I may be honest, this search is something that is often nourished by sources outside the Church: everything from the arts, to the disciples of personal development, to the lived experience of other faiths. This openness to what can be learned from other groups and traditions is something quite common in the life of the Church. Sixteen centuries ago, Saint Basil the Great wrote his famous Letter to Young Men on the Right Use of Greek Literature. At the time, Christians were torn about whether one could safely read works written by pagans. Would being exposed to stories about a pantheon of false gods, consumed by their own immoral and petty desires, put a young Christian at risk? For just as bees know how to extract honey from flowers, which to men are agreeable only for their fragrance and color, even so here also those who look for something more than pleasure and enjoyment in such writers may derive profit for their souls. Now, then, altogether after the manner of bees must we use these writings, for the bees do not visit all the flowers without discrimination, nor indeed do they seek to carry away entire those upon which they light, but rather, having taken so much as is adapted to their needs, they let the rest go. So we, if wise, shall take from heathen books whatever befits us and is allied to the truth, and shall pass over the rest. And just as in culling roses we avoid the thorns, from such writings as these we will gather everything useful, and guard against the noxious. When dealing with pagan literature we are, just like a bee, called to be wise and discriminating: to take only the good nectar and leave the rest behind. If you know me, then know that the “be the bee” metaphor has been pretty significant in my life and work. And you know that this metaphor shapes the way I view the world, including other traditions (both religious and, for lack of a better word, “secular”). 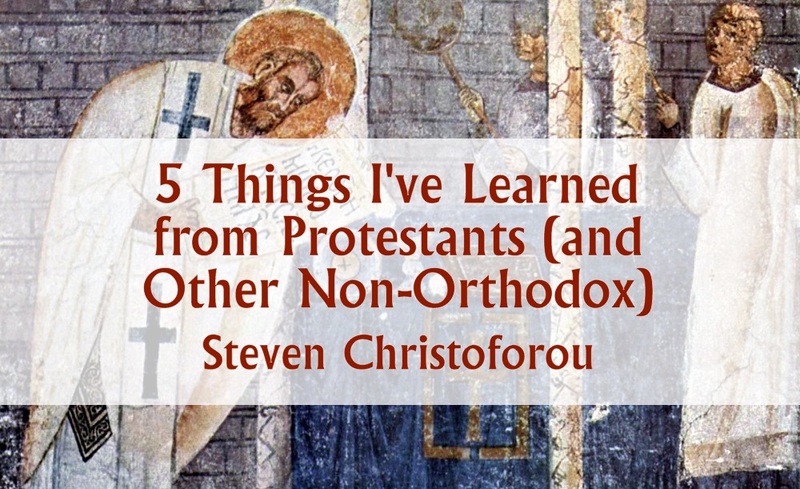 With that in mind, I humbly offer five things I have learned from people who are not Orthodox; five things that have proven quite beneficial as I struggle along the difficult road to Christ and His Kingdom. I remember the first time I ever held a prayer rope in my hands: I was a child, and had just completed another year of Sunday School. During that year’s graduation ceremony, our teacher called us up one at a time and, after giving us a paper certificate to mark the end of yet another year in the program, placed this strange object in hand. I walked back to my seat confused about what this small, knotted rope was for. When I asked, I received only vague answers: you use it when you pray. Ok fine, I thought. But how do I use it? As you might imagine, I did not end up using it. Instead, I repurposed the prayer rope and turned it into a sort of bracelet: a religious trinket, a reminder of a distant God whom I had no way of encountering. In time, the prayer rope left my wrist and took up new residence in a drawer somewhere. A similar thing happened with my first prayer book. I received it without instruction, so it became an ornament on my bookshelf; in time a very dusty ornament. I imagine things could have been different if someone had, in plain and simple terms, taught me what I could do with a prayer rope. I mean, even boxes of Pop Tarts have instructions printed on them: (1) open the package, (2) place pastry in toaster, (3) enjoy! Yet no one ever taught me to be silent. No one ever sat with me and taught me to make room in my heart for God. No one ever showed me how to speak, deliberately and repeatedly, the simple words of the Jesus Prayer. No one ever demonstrated the way a thumb, moving across small woolen knots, could help focus my attention on God Himself: transcendent yet personal, everywhere yet here. It is no wonder that, when struggling, people turn to the detailed advice of self help books and courses. One can only hear pray more only so often, especially when one has no idea how to even begin. One evening, while flipping through television channels with my father, he stopped on a black and white program. I was surprised to see, not an old movie, but a rather unique program: a Catholic priest (armed with nothing but a chalkboard, his charm, and a fluent command of Scripture and theology) delivered moving and forceful lessons for a national audience. Seriously. He even won an Emmy in 1952. Every week, Father (later Bishop) Fulton J. Sheen spoke directly to as many as 30 million people. Whether speaking on the role of our guardian angels or condemning the atheistic tyranny of the Soviet Union, Bishop Sheen offered moving, at times challenging, orations that gave voice to a deeply Christian ethic. Despite being scheduled in a time slot dominated by other popular programs, he developed an audience that exceeded expectations. Because people were hungry for a good word. Because people needed to hear of God’s unwavering love. Because people needed reassurance that, as Bishop Sheen’s program was titled, Life is Worth Living. In the Church, we sometimes cultivate what I call a Hipsterdox ethic. We enjoy keeping our religious club as obscure, convoluted, and under-the-radar as possible. It’s hard to imagine a clergyman standing before tens of millions and delivering the Good News of Christ. And we often forget that the most impactful youth worker of the 20th century was a kindly Presbyterian minister named Fred Rogers. The world is hungry for the Gospel, and we are still arguing about whether services should be sung in English. My parents immigrated to the United States as children. They grew up on poor farms, and ate their daily bread because of the backbreaking labor of sowing and reaping. My childhood was shaped by their childhoods, and the experience of my family over untold generations. Growing up in New York, I learned early that I was to work with my mind, not my hands. I was to get educated and secure a job as a professional. And I was reminded of this each and every day: study, study, study. Yet, for most of my life, Religious observance followed one unwritten law: keep it to Sunday. While I worked on homework for hours a day, prayer was never a part of my daily routine. When my family dreamed of the sort of man I would one day become, “faithful Christian” was never on the list. And that was reflected in the rhythm of the week: six and a half days of hyper-motivated struggle interrupted by a few hours patiently enduring religious obligations. Liturgy was the thing we did on Sunday mornings. It did not even remotely capture anything about the spirit or substance of my daily existence. Life was a challenge, an obstacle race that would one day lead me up the corporate ladder. Life was not an offering. Life was not sacramental. That’s not to say I was not taught to say my prayers or anything like that. Yet, in retrospect, there was a clear divide between the sacred and secular halves of my life; though these two portions were far from evenly split. Life was about getting ahead, not getting into heaven. It was about living the American dream, not dreaming of God’s Kingdom. Which is a great shame. Because both my grandmothers had a faith that some could (in fact, some would), superficially, dismiss as “Protestant.” The name of Jesus was always on their lip. And they were constantly asking the Lord for His mercy, or giving God His glory. Before going to seminary, I was a practicing attorney. The two years I spent at a top law firm, doing complex work with disciplined and brilliant people, helped shape my expectations about what is (and is not) acceptable in a professional setting. I remember the firm hosted a panel discussion on work life balance. Several partners offered their thoughts on how to best navigate the personal and professional challenges we would face. One in particular was very blunt: we expect you to work hard and be great at your job; but we do not expect you to put this job before your family. That was reassuring. It was healthy. It was protective of the integrity of human lives and relationships. Unfortunately, I have seen some terrible boundary violations in the Church: volunteers pressured to give more and more time until they burn out; people, both clergy and laity, who berate and harass people for whom they are responsible (sometimes even during the celebration of the Liturgy itself); resources squandered without accountability; Church workers (both clergy and laity) underpaid and overworked with little concern for their spiritual and emotional health. In my own professional life, I have only been verbally abused once, at it was while working for the Church. I was on the receiving end of a profanity-laced, aggressive verbal tirade that lasted almost thirty minutes. When I reported this gross mistreatment, which happened to be the work of a clergyman, I was told that I needed to get over it and move on. Working in ministry is hard enough as it is. Our struggle should not be exacerbated by the sort of conduct which would not be tolerated in any other setting. Every month, I am blessed to travel to different parishes for Be the Bee themed retreats (BeeTreats for short). We begin each BeeTreat with a workshop on silence and prayer, and end by praying for each other out loud. I will ask participants if anyone has a struggle they need to offer to God. When someone shares such a burden, I ask if anyone will pray and lift it up to God. When someone raises his hand, I will ask that person to pray. The person will usually nod or say “sure,” and then look away. I will then clarify: offer a prayer to God now, with your words, here with us all. Participants are usually confused. Pray? Out loud? Now? I was going to add this name to my prayer list…maybe. Yet I have noticed that the participants who are most comfortable actually addressing God, of speaking into the silence and trusting in the Lord’s presence, are students who have attended Protestant youth groups. They are happy to lift up the sick and the struggling, or simply offering thanks for a blessing. Students formed by Orthodox youth groups tend to be far less comfortable actually talking to God as if He is really there. Sometimes they will even offer a word of encouragement to the person who needs prayer, speaking to them rather than to God. It is an interesting sign of the way our Christianity is somehow lost or forgotten, of the way our programs and events turn out people who are unwilling (or unable) to actually relate to God. My relationship with Christ still needs a lot of work, and my understanding of the mystery of the Church still has a lot of room to grow. As I try to keep my eyes on Christ, and keep marching towards His Kingdom, I am happy for any help I can get. Sometimes, that help comes from non-Orthodox sources. Sometimes, I am most inspired (or most convicted) by the courage or discipline or even piety of someone who has not been formed by the traditions of the Church. Yet seeing these things with the eyes of a bee can reveal Christ at work in potentially unexpected ways, and give us the clarity and purpose to rise to the level set by those who have run the race before us. Steven Christoforou is the Director of Y2AM. You can find more about their work at their website: y2am.org. Coming myself to Orthodoxy from a protestant background about 6 years ago, in college, I can relate to this quite a lot. 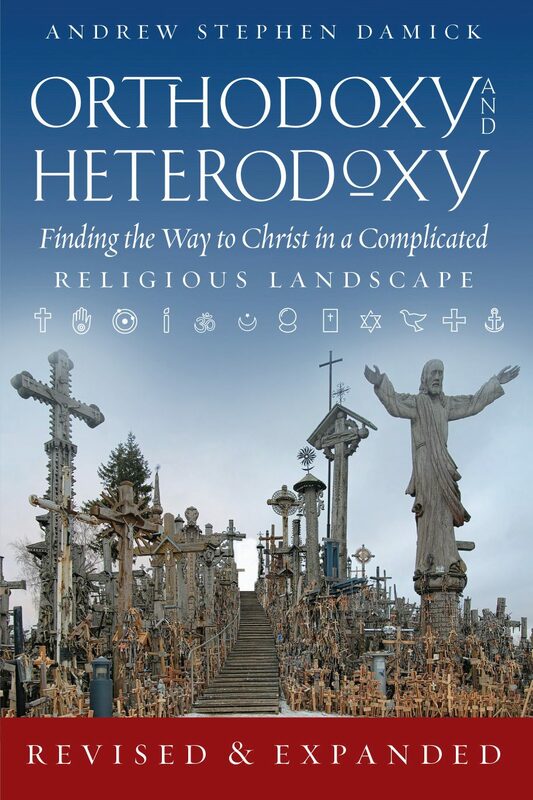 I’m one of those strange people who like reading verbose books about the ins and outs of theology and the ideas of long-dead people, but most people are a tad more normal than that. Having gone to a Christian college, many of the people I have known from the school have gone on to start Godly families, making service a regular part of their life, praying before meals whether at home or at a restaurant, and doing their best to image the love of God to others when given opportunity. Such people are aware of the joy of the Gospel, thankful to God, worshipping with sometimes oddly-worded but nearly always impassioned songs, which they carry in their minds and on their radios through the week. I’ll not pretend all aspects of my protestant background are joyful or rooted in the Tradition of the Church, and it was, of course, the lack of root and sacrament which were deciding factors in bringing me to Orthodoxy, but there is indeed much to learn from the example of the protestants, particularly in America, because all the good things they image to us are not lacking in our tradition (one may think of St. Symeon the New Theologian as an example of truly charismatic, impassioned worship and prayer — yet in submission to the received way of the Church) but they have sometimes been forgotten or poorly catechized to both convert and cradle alike. I’m thankful to those who, like you, Steven, are working to bring out some of these streams of our own tradition, to better speak to not only those around us about the gift of Grace we have been given, but also to ourselves and our children. God grant that this work bring much fruit, and inspire others to go and do likewise. I totally agree with you. As Orthodox Christians, it seems as though we think that only the Priest can offer the prayer at an event. We need to find our voices beyond the Lord’s Prayer. Thanks for sharing your thoughts! If it wasn’t for the beautiful Protestants in my life I would not be a Christian, much-less an orthodox Christian. As the daughter and wife of a priest, it breaks my heart to hear stories of people who just didn’t get the point of going to church, who thought it was a Sunday-only celebration of our culture. My parents struggled for years to teach the reality that living a life in Christ (24/7) is our reason for existence. I am so sorry that you were treated badly by a priest. I am so sorry that your family, and so many, many others just “didn’t get it” when it came to Orthodoxy. I’m not sure who bears the responsibility for this, but it is a tragedy. Day by day, we just keep chipping away at the ignorance of people by trying to to show the love of Christ. Thank you for doing the same, Steve, and for living up to your name. LOL…nice straw man. What I learned from Protestants is that “Engaging the Culture” is code for, let’s become exactly like the secular culture. “Engaging the culture” has lead large swaths of Protestants to completely abandon their own teachings and has been an unmitigated disaster for numerous P denominations. The last thing the world needs is for The Church to try and act like the culture in a fool’s errand attempt to be “relevant.” Now, perhaps more so than ever, the world needs The Church to be….The Church. Nowhere in this post has Steve said anything about making the Orthodox Church become like secular culture. Cultural engagement is not the same thing as cultural accommodation. Is the engagement that St. Basil recommends with pagan culture (as quoted in this piece) a capitulation or imitation of pagan culture? Or is it possible to engage without accommodating? Or is engagement limited to imitation? I do not think we have to either accommodate or imitate to engage either pagans or the Heterodox. I am heavily involved in Pro Life and I have many Heterodox friends who ask questions and try to challenge me theologically. I find being friendly but direct in discussions works the best. They hardly ever buy into the Orthodox beliefs at first but I have noticed that they think a little differently about sin and salvation if they are serious about either. To either accommodate or imitate is to cave in and that is no witness at all. The witness I bring to Pro Life is God’s love despite the failures and that there is hope if there is repentance. I have noticed in many of my other sidewalk counselors a much softer and helpful tone in their discussions with women going in. The most successful message to these women seems to be that there are people willing to help them for free in their time of need and confusion. I could talk about my various experiences among the Heterodox that were an integral part of my path to Orthodoxy and how I still maintain close relationships with many in those camps, but basically I just want to say THANK YOU!!! It is about getting as many of us as possible to actively live a Christian Life.